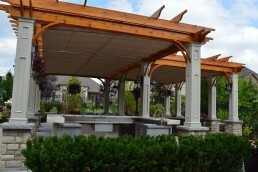 Not many pergolas cover an area as large as 28’x24’. 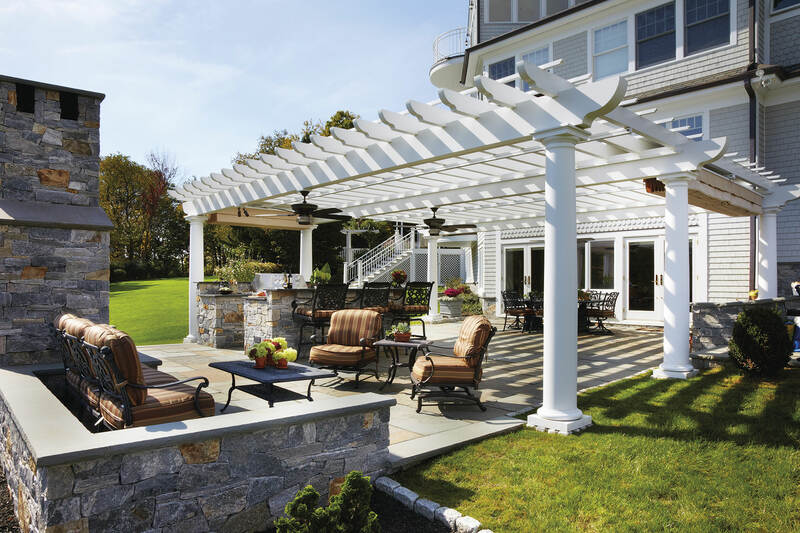 This example in Ridgefield, Connecticut is broken into two sections that allow ceiling fans to move the air under the shade of the retractable and motorized canopies. The natural breezes are nice, but when there aren’t any, it’s great to have a couple of fans to do the job. When an area this large is protected from the sun, there is a temperature reduction that is significantly greater than when a smaller area is covered. 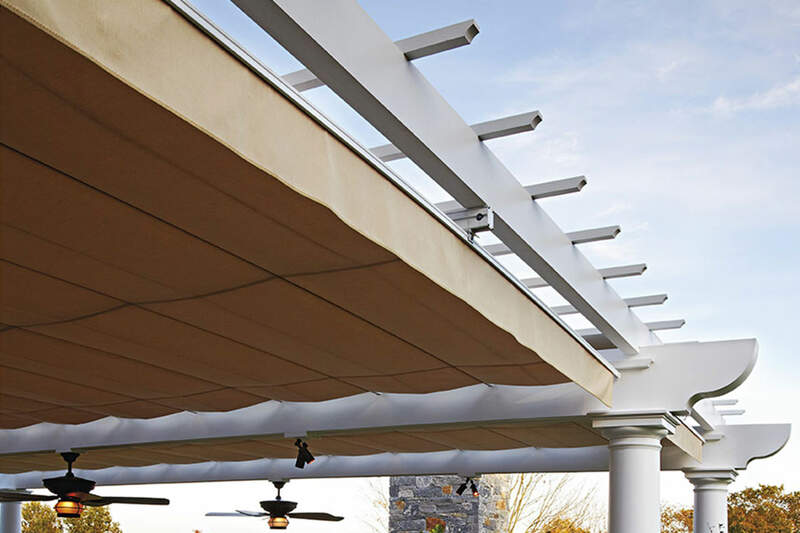 The shade eliminates the solar heating of the patio itself, so the heat that would otherwise radiate from the stone does not have much of an effect on the large shaded area. In the evening, the stone does not radiate the heat back and the overall temperature is cooler, both day and evening. 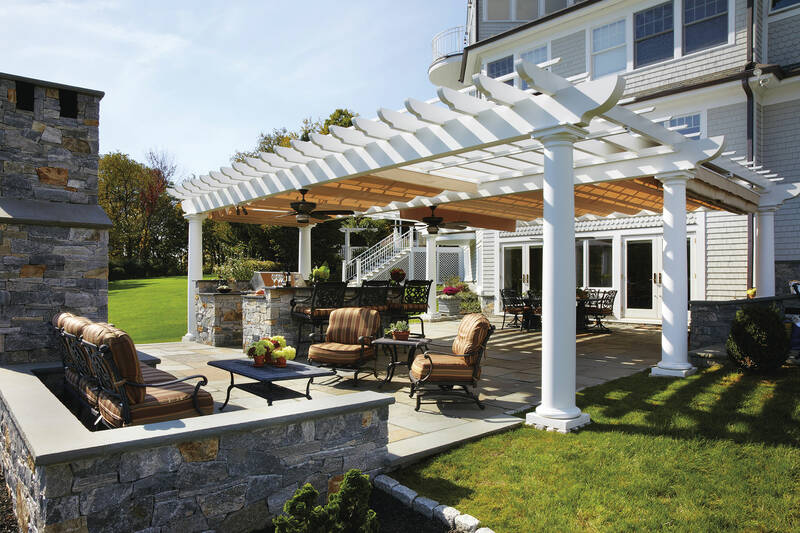 This is another Walpole Outdoors project that shows their capabilities with long spans. Note the die straight beams running 24 feet between posts. 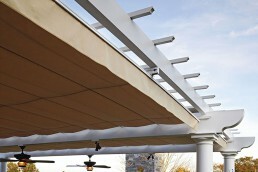 This feature gives the outdoor living space an openness that makes it special; actually, very special.